One nice thing about having a snow day is the opportunity to be lazy and productive at the same time... I love laying around in my sweatpants and fuzzy socks, curling up on the couch, and exploring my favorite teaching blogs. Of course, I always find things that I NEED TO MAKE RIGHT NOW! I was inspired by this post from Reagan Tunstall this morning (see her post here) about Sight Word Sticks for word work. Luckily, I had a few empty soup cans under my kitchen sink and a box of colored popsicle sticks from Michael's Craft Store (can you say EDUCATOR DISCOUNT?!) and I whipped these up this morning! We are working on spelling our Primer Dolch Words so I made 5 sets of primer word sticks. Reagan has a great set of printables to go with this idea on her TPT store, but here's an ABC order activity for free from ME with a set of labels for your stick holders! I covered the cans in fun cardstock and slapped a label on them! Easy! In my classroom, I have a chromebook and projector set up on a cart. I am always looking for new ways to use the technology with my students. 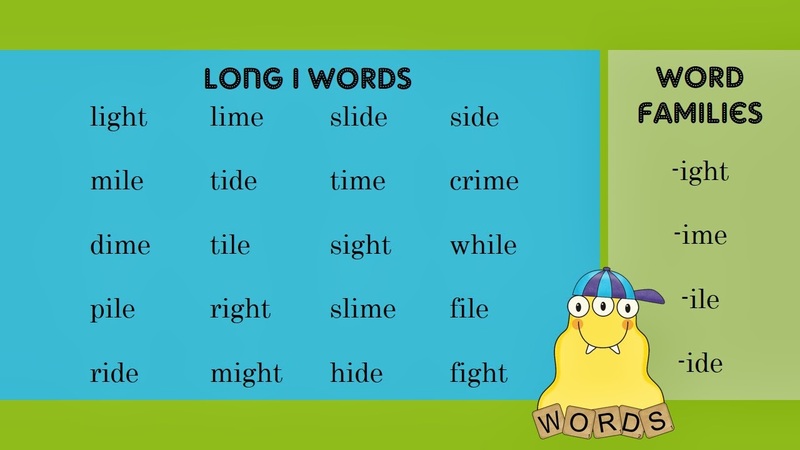 I decided to create a powerpoint slide to display on our projector for a LONG I WORD SORT as a Daily 5 word work center. Above is visual of the slide. You can save the image to your computer to project in your classroom by clicking this link! I have yet to try projecting this slide and I am hoping that it isn't blurry when expanded. Students will record their word family sort on this FREE PRINTABLE. If all goes well this week, I hope to make more projectable word family sorts! Thank you for the freebie! I'm using the stick ABC order for my students and hope it will strengthen their ABC order skills. Thanks again!